Somehow, the muscle car has become one of today’s most versatile vehicle segments. 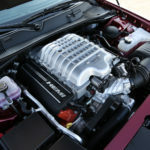 While the core principles of big power, big body, and rear drive remain, muscle cars are now do-it-all performance machines. Commute comfortably, tear up the track, and haul the family in a V8 monster — the marvels of modern engineering, folks. Of the three classic brawlers: Camaro, Mustang, and Challenger, Dodge’s HEMI-powered hero has been slowest to evolve. With underpinnings dating back to the Mesozoic era and a shape that’s as recognizable today as it was in 1969, the Challenger is an unapologetic brute that settles problems with its fists. This crude but effective strategy is best represented by the 2018 Challenger SRT Hellcat Widebody ($73,340). 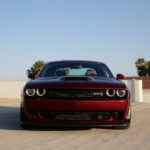 In response to Chevy’s Camaro ZL1 1LE ($71,295) and Ford’s Mustang Shelby GT350R ($64,435) — track-honed weapons more often compared to European sports cars that American muscle — Dodge equips its fire breathing feline with fender flares, wider tires, and a stiffer suspension. How much of a difference the Widebody’s tweaks make on a racetrack is not to be determined here. Our time with the broad-shouldered Hellcat tests its on-road demeanor and relevance within the maturing muscle car segment. The Hellcat Widebody has perhaps the most honest nomenclature of any modern vehicle. Drive one and you’ll understand immediately where the “Hellcat” part comes from; see one and the “Widebody” piece will make perfect sense. With 3.5 inches of added width over the standard Hellcat, the Widebody strikes a bulldog-like stance — low and wide with muscular shoulders. Unrefined fender flares bulge with 305-section rubber at all four corners. Dark painted 20-inch wheels house 6-piston front and 4-piston rear Brembo brakes (available in a selection of colors). 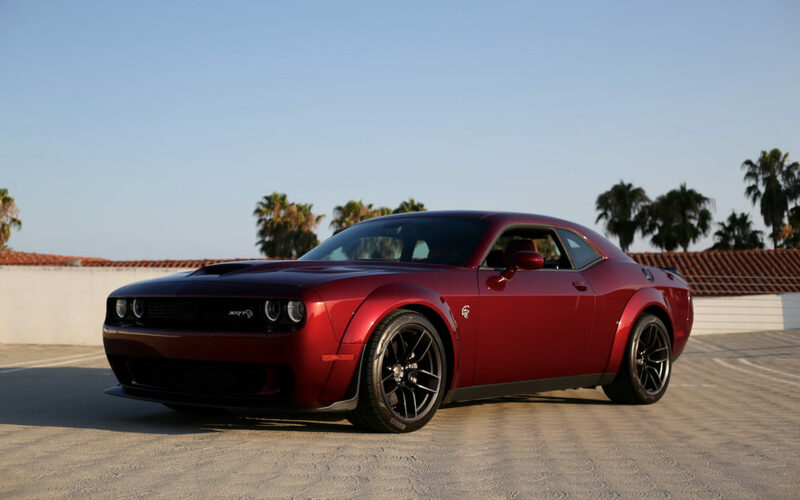 The rest is typical Hellcat, which is to say menacing and nostalgic. 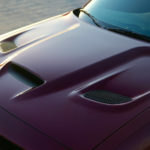 A vented and scooped hood is painted to match the body color or is finished in black satin (for $1,950). “Air Catcher” headlamps with intake chambers sit on either side of a rectangular black mesh grille. 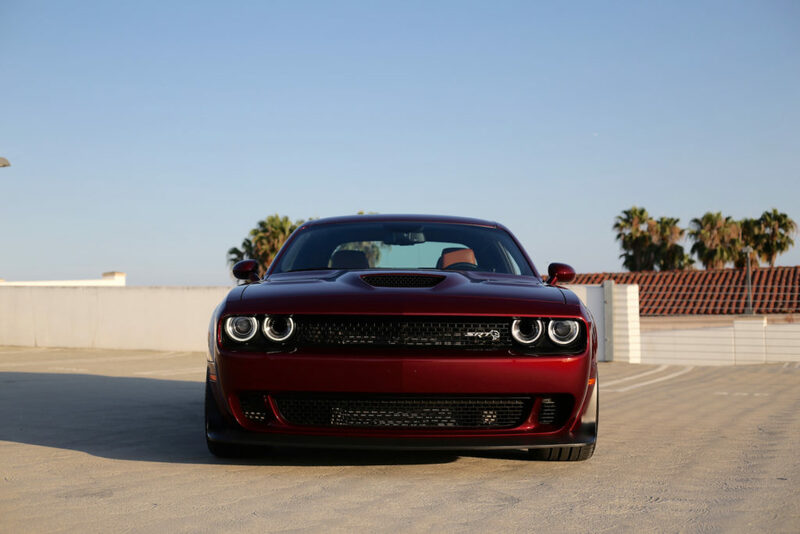 Hellcat badging adorns the face, front quarter panels, and trunk-lip spoiler of the broad beastie. A jutting chin splitter offers the greatest bit of aero to the car (and no, that strip of orange/yellow shipping foam doesn’t help, so please remove it promptly). The hard-lined silhouette, sharp creases, and extensive flat surfaces are clear throwbacks to the Challenger’s ancestor, as are its rectangular LED taillights. Inside, the Challenger’s cabin doesn’t quite match its massive exterior proportions, but there’s still plenty of space for two full size adults and two kids (or some flexible friends). No doubt the set of thick leather bucket seats are in part to blame for reduced rear legroom, but you’ll be grateful for them when a long drive is on the agenda. The Hellcat’s adaptive dampers deserve some credit for softening the ride, but it’s the plush seats and well-insulated cabin that makes this an easy road tripper. A gaping trunk (with 16 cubic feet of space) helps in that regard as well. Interior quality is a mixed bag, with some cheap plastics finding their way onto the steering wheel cover, window switches, dashboard, and below-waistline areas. Most of the common touch points, however, are of tactile substance and aesthetic appeal. 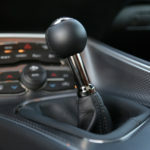 The leather-wrapped shifter is neither dainty nor chunky, the flat-bottomed, leather-wrapped wheel has a soft texture, and the brushed metal trim feels durable. Our biggest gripe with the cabin layout is the placement of the e-brake. Seriously. A number of contemporary sports cars trade the console-mounted (grab handle) e-brake with an electronic button or toggle, but Dodge resorts to a truck-style pedal-operated brake for its Challenger. This is especially bizarre a decision for manual-equipped models, which already have three pedals cluttering the driver floor. Adding a fourth in front of the dead pedal is just annoying. Sure, owners will get used to it, but they shouldn’t have to — there’s plenty of real estate in front of the center console to add a button. Parts sharing flaws aside, the Challenger SRT Hellcat is a classically beautiful, endlessly comfortable way to scare Prius drivers and excite grown men. Advanced aerodynamics, weight saving measures, and delicate chassis tuning are brilliant ways to stay out of a tire wall on a racetrack, but they’re also excuses to make a street car less livable. 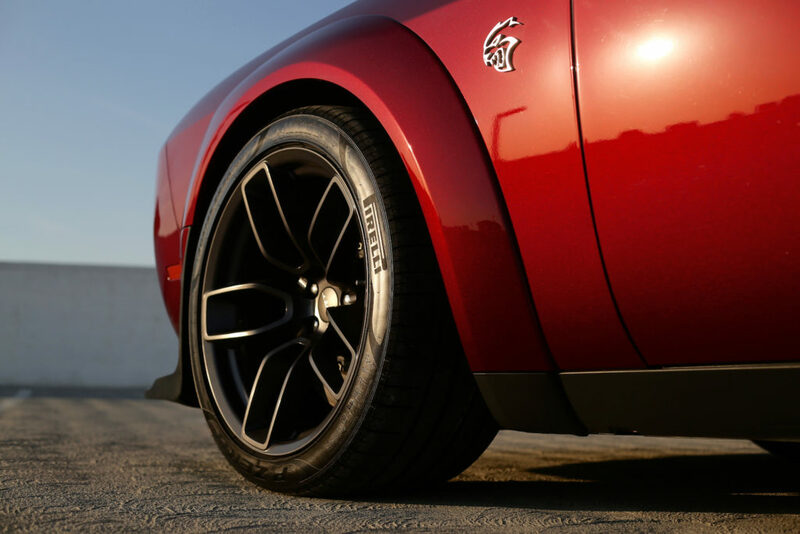 Fattening the Hellcat’s tires and re-tuning its suspension impacts little of its on-road compliance. This is still the cushy cruiser we know and love…with a 707-horsepower punch of course. On paper, the Hellcat Widebody’s six-speed Tremec manual is slower than the eight-speed automatic by two-tenths of a second to 60 mph, but this is not a measuring stick car (unless you’re logging the length of your last burnout). This is a visceral vehicle — one suited to a manual gearbox. Remarkably, 30 percent of Hellcat buyers are in agreement (some 25 percent more than the standard take rate for cars sold in the U.S.). It’s the slick-shifting transmission and boisterous bellow of the 6.2-liter supercharged engine that turn adults into children and moderates into tyrants. Accompanying the noise is phenomenal speed. Flip through UConnect’s SRT Performance Pages and you’ll find a launch control menu with adjustable rpm-holding. Set your desired engine speed, pin the throttle, side step the clutch, and the electronic stability control system sorts its way to a 3.9-second sprint to 60 mph. Trying to manually duplicate such controlled acceleration – even with an inch of extra tire all ‘round – is exceedingly difficult. More often, we yield to the whims of a hell-raising HEMI and just liquefy the rear rubber. So if the Widebody isn’t much better at running the quarter mile (or blitzing between stoplights, as the case may be), what’s the point? Stability, dear friends. The standard Hellcat needs little more than an errant brush of the throttle to turn a quick corner into a drift, but the fatter version prefers to carve something of a line. Overwhelming the tires is still possible, but just as rewarding is negotiating 4,500 pounds of muscle car around a tight bend in tidy fashion. Body roll is inevitable with this dated LX platform, but smooth inputs through the steering wheel, measured doses of throttle, rev-matched downshifts, and a steady arc bring out the best in this brute. Furthermore, if you don’t want to drive it like an ape, you need not. Switch the drive mode to Auto and let those adaptive dampers soak up the road’s rough stuff. If 707 hp is too much to manage, a black key limits power to a “reasonable” 500 horses. Whatever you do, though, don’t expect to see more than 16-combined mpg. For something that appears so uncivilized prowling around town, the Challenger SRT Hellcat is quite the mannered machine. Some convenience features like remote start and adaptive cruise control are limited to automatic-equipped cars, but universal goodies include heated and ventilated seats, a heated steering wheel, six-way power driver’s seat and four-way power passenger seat, dual USB ports, an 18-speaker Harmon Kardon sound system, dual-zone automatic climate control, Bluetooth, and Sirius XM radio. 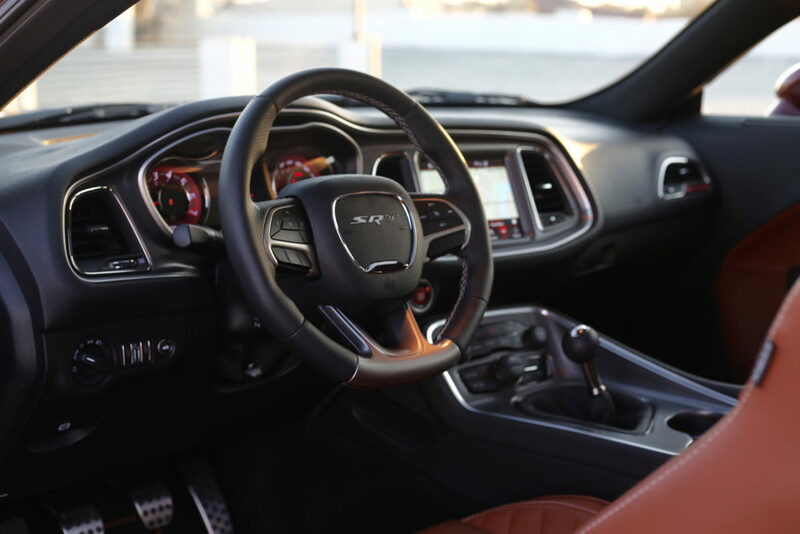 Also standard is Chrysler’s UConnect infotainment system, accessible via an 8.4-inch center touchscreen display and 7.0-inch reconfigurable driver monitor. With Apple CarPlay and Android Auto connectivity, UConnect is a perfect mate for most smartphones. The native system is competent as well, with an intuitive menu structure, good response time, and crisp visuals. Two sore spots include a somewhat dark, low-resolution rearview projection and a clunky navigation interface (Apple or Google Maps are better bets). For those who prefer alternative inputs, the Challenger has physical controls for climate settings and steering wheel buttons for media/gauge cluster menus. 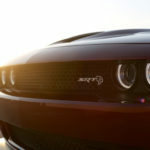 The 2018 Challenger Hellcat comes standard with advanced multistage driver and front passenger airbags, supplemental front and rear side-curtain airbags, front seat-mounted side airbags, ESC, traction control, daytime LEDs, blind spot monitoring, parking sensors, a backup camera, adaptive cruise control (automatic-only models) and rear cross-traffic alerts. Dodge doesn’t offer additional driver assist or passive safety features for the Hellcat. If a G-generating muscle car is on the mind, there are a few ways you can scratch the itch. 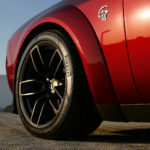 Ford’s Mustang Shelby GT350R and Chevrolet’s Camaro ZL1 1LE are staunch rivals to Dodge’s Hellcat Widebody, both with finely tuned handling and lower starting figures. All three vehicles can be had with automatic or manual transmissions, all are rear-wheel drive, all feature eight-cylinder engines, and all make wonderful noises. The ZL1 is quickest to 60 mph (3.7 seconds), the Hellcat makes the most power, and the Mustang grips hardest. On a track, the Hellcat Widebody would have a tough time keeping up with the lighter and aerodynamically superior ZL1 1LE and GT350R, so if you spend a lot of time obsessing over lap times, you’ll want the Ford or Chevy. The Hellcat Widebody isn’t here to eat the Camaro ZL1 1LE or Mustang GT350R’s lunch. It doesn’t want trackside sushi. Stacks of ribs slathered in bar-b-que sauce and smoked in the heat of its own burning rubber are more appealing. Does the Widebody grip harder and afford more cornering confidence to its driver than the standard Hellcat? Absolutely. What matters more, though, is how the muscle car makes us feel. Bulging fenders, fanged badges, and classic creases thrill the senses and instill a sense of pride we don’t deserve.